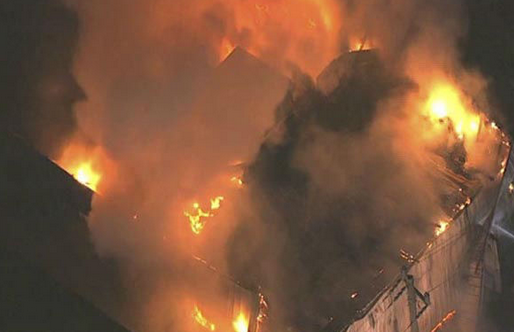 A massive blaze has ripped through an Islamic community center in Houston, Texas, on Friday. It is not known what has caused the fire that gutted a section of the building used for storage. Federal investigators are now looking for the source of the blaze. 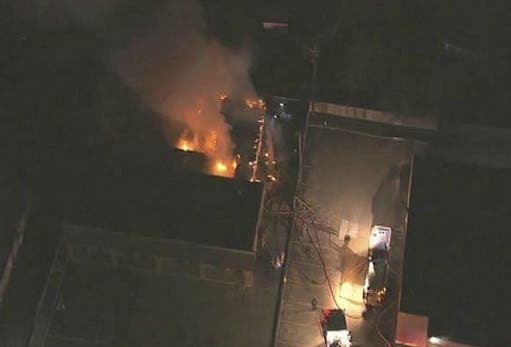 Kenyatta Parker, public information officer at Houston Fire Department told Al Arabiya News: “I can confirm that the fire happened this morning, that no one was hurt and no one was in the building at the time. 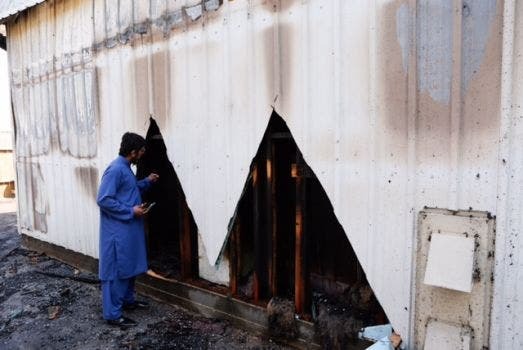 He said he was unable to comment regarding reports citing the Imam and his son who said they believed the fire was either an arson attack or started accidentally by a homeless person trying to shelter from the cold. Closing the statement, it added: “Please do not spread hate; spread love, tolerance, and harmony, just as Prophet Muhammad (S) did.” And added that activities at the center would continue as planned. Responding to the statement Kenyatta Parker told Al Arabiya News he could not comment on the claim of foul play. "The damage on the back building is total," Houston Fire Department district chief Ken Tyner earlier told ABC News as saying. "The whole entire building back there is burned up." The cause of the fire is not yet known, ABC News quoted local Muslims who suggested a man was spotted near the center looking suspicious. 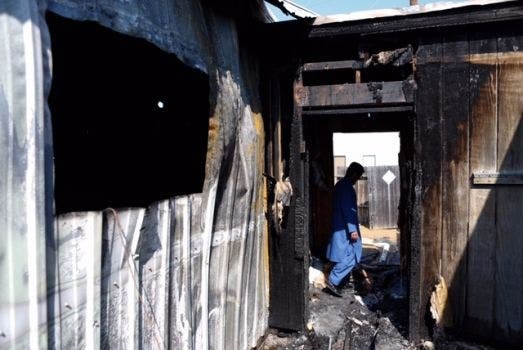 Imam Zahid Abdullah told ABC News he saw a man looking suspicious near the property on Wednesday and again the night before the blaze. "My son was passing by here and somebody was sitting here in a white Ram, making mockery, chanting," Abdullah said. But Saadeh stopped short of claiming wrong doing, explaining: "We don't want to blame anyone…We want a full investigation of what is going on." Federal investigators are now looking for the source of the blaze. The Quba Islamic Center, which holds prayer and educational meetings, is made up of three buildings with a small car park. Investigators refused to speculate as to whether the fire was suspicious. But the incident occurred amidst heightened tensions in the U.S. after the shooting of three young Muslims earlier in the week. “It is still under investigation so we are not releasing any information,” Allison Stein, chief investigator for HFD told The Citizen website. Flames were seen ripping through roof of the mostly aluminum-structured building when firefighters arrived at the scene. “Everything’s collapsed down. Right now, it’s so badly burned. We’re still trying to put out the hot spots, get some of the smoke out so we can see if we can get arson in there. There’s an air-conditioning unit on top that we have to be careful it doesn’t collapse on us. We haven’t really been able to get in there,” The Citizen quoted Houston Fire Department spokesperson Ken Tyner as saying. Very sad indeed. Innocent lives are affected because of the wrong doing of others. This is just my opinion, I think the ISIS movement creates a bomeerang effect to innocent Muslim people. ISIS somewhat creates a bad image around the world that "Muslim people are terrorist" prompting anti Islamic protest from Europe, Asia and America. I'm very sad for our Muslim brothers thry are label as bad people but in reality they are not. Thry are just victims of wrong judgement. They are good and peace loving people.